ONE of the world's foremost coral reef experts has decried the Turnbull government's cuts to the CSIRO's climate change flagship. 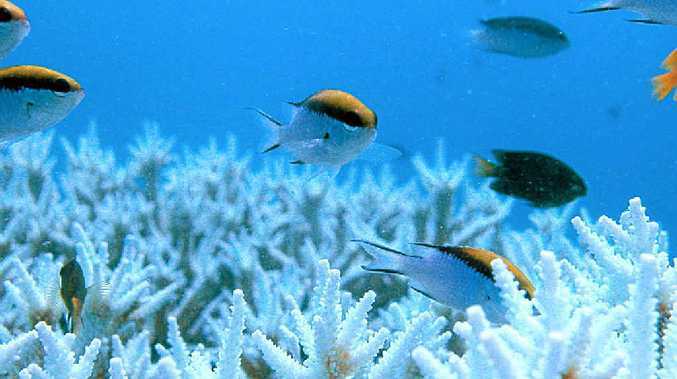 The University of Queensland's Professor Charlie Veron went to Canberra yesterday in an effort to educate politicians about the effects of climate change on the Great Barrier Reef. He said the staff cut of about 60 people from the CSIRO's climate change flagship was "a tragedy for science in this country". While the CSIRO has said it would not equate to an overall loss of numbers from the agency, it would see about 100 staff dedicated to climate change reduced to 30-40 people. Prof Veron said the cuts were part of a wider trend across government scientific agencies that saw bureaucracy take precedence over science. "It takes a long time to build up the appropriate expertise in these places, but it takes no time at all to destroy it," he said.